Yes, there is still a bun in my oven. My disappearance is due to "nesting" vs. a new little babe in our home. And equally exciting, okay not equally, but still exciting, is that there is now a working oven back in the mommycoddle kitchen! It has been so long that when I sat down this morning to plan meals for the week, I couldn't think of anything that didn't require only the use of the stovetop. I'm definitely out of practice. I am very close to being able to utter those three little words : "I Am Ready". But there is still a short list of things that I'd like to accomplish before the baby arrives. In a last minute burst of enthusiasm and inspiration, Dan and I are talking about painting the old baby crib versus using one that was given to us. 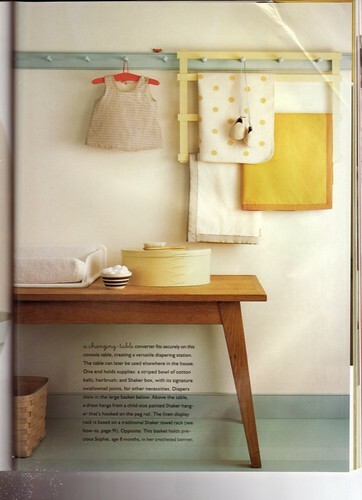 Thumbing through old issues of Martha Stewart baby can be a very dangerous thing when you are nesting. I truly mourn the loss of MS Baby and Kids. They were full of so much inspiration. These are a few clipped pages from and old MS Baby. 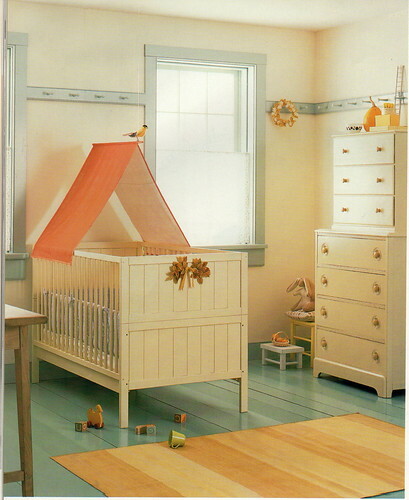 And two are the nursery style that has always been in the back of my mind as I decorate and prepare my baby's rooms. Timeless. Simple. Peaceful. Hope your Monday is full of inspiration and sun, as it is here. Spring must be around the corner — my yard is littered with bicycles, skateboards and chalk. And the chickens are doing a good job of scratching through my dormant flower beds. What nice photos – I reckon DD would have liked a nursery like that. As it is, she got Peter Rabbit transfers on the wall and a secondhand cot. I was doing well organising that LOL. Such sweetness. When I saw the photos in your Flickr stream, I thought Martha Stewart had come out with a new magazine–boo to it being something that happened, is over. 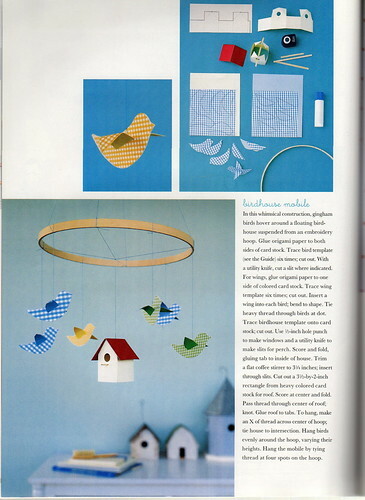 That nursery helped inspire our nursery and I know Jenn Docherty used it as inspiration for hers too. I was so sad when those magazines disappeared too. Those nursery pictures are just gorgeous. Are you going to post some of your actual nursery when you are done? Ours is still kind of set up from the last babe so we don’t have a lot to do but I want to freshen it up. Oh, I love that. I have done nothing nursery related – it’s waiting until my mom gets here and I can have some help. She’s going to be sharing with Annika, so it’s a joint redo. Oh I remember that nursery picture! I just love the colors. I’ve always been drawn to calm and soothing nurseries myself. I have some old MS Kids and am so tempted to buy more on ebay but am trying to practice some restraint. sharilyn, i love the idea of a book that is sort of a collection of what was in the magazines. that would be such an inspiring resource. hi kelly. I will try to remember to post some nursery pictures when i’m all settled in there. (and hopefully some pix of a painted crib, too! If you paint, don’t forget to put a plastic teething rail on top. Was wondering if you’d had the baby yet, so wanted to check in. So glad to hear you have an oven! Just in time. That nursery is always at the top of my mind when decorating, for my son’s room, and really for the rest of the house as well. I love it so much it hurts. I still have all those MS baby mags, they are such happy memories for me. 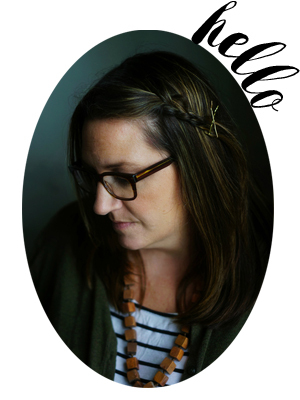 I love that room, and love nesting! Wow, that’s a fine nursery. You’ve got my mind running, and we’ve no more babes on the way. Happy painting, happy baking, happy nesting until the wee one arrives. oh, I love it all! so much sweetness! but no baby expected here, so I cant think about decorating a nursery! :)Yeah for having a stove now too! I am QUITE surprised that I didn’t know you were expecting! I’m thinking you must have shared the news when I was neglecting my blogs in favor of staring at my own newborn. (Ha Ha.) Congratulations to you! We’ve talked before, Molly, about our love of our Martha back issues. I have moved mine 6 times. 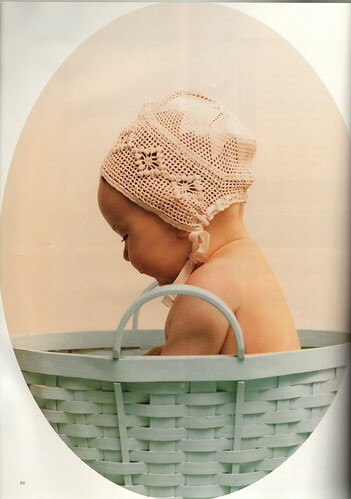 But none are so well-loved and carefully guarded as those 6 or 8 precious MS Baby magazines. I get them out during each pregnancy and just pore over them. They are my favorite things in print just about ever, I think. I love these photos. So sweet.